🐒 For System # 6: This is the data I use . 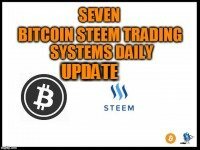 Combined volume of Bitcoin traded against Altcoins at Bittrex and Poloniex , Online users at Poloniex , Steem price , Bitcoin price. All data recorded daily at 7:00 AM EST give or take a few minutes . 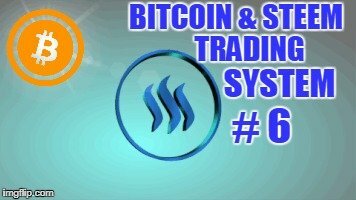 🐒 BITCOIN & STEEM TRADING SYSTEM # 6 works like this . 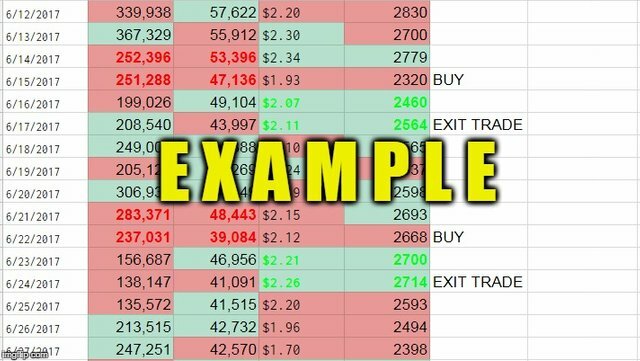 There is no chart used with this system only a color coded spreadsheet . 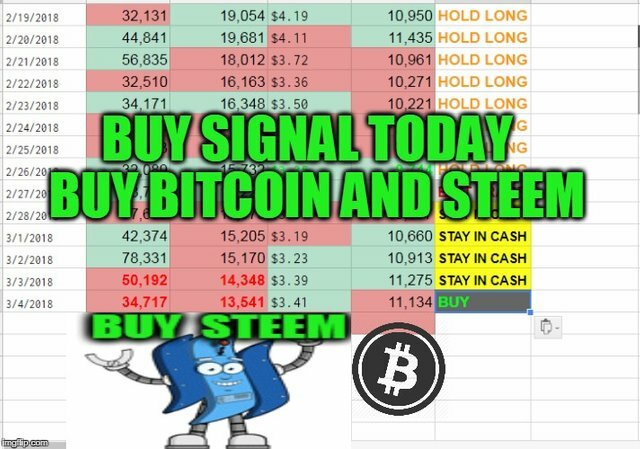 When columns B and C have two consecutive REDS it is a signal to buy Bitcoin and or Steem . Next when columns D and E have two consecutive GREENS it is the signal to exit the long positions . The Bitcoin price is from the Coinbase trading platform GDAX . DISCLAIMER : This content is for informational, educational and research purposes only.